This refreshing Mango Spinach Smoothie Bowl is a great power breakfast to start your day off right. Mango, spinach and coconut water are such a great combo here. It has a refreshing and clean taste. I like to add a scoop of my favorite plant-based protein powder. I love Vega Sport Performance Protein, but you can also add brown rice or hemp protein. 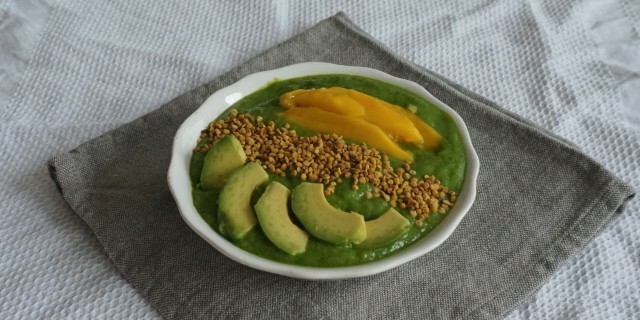 This Mango Spinach Smoothie Bowl is more than just a great breakfast. It’s also great as a post-workout snack to help build and repair your muscles and reduce your recovery time.